I can’t believe we’re a month into the new year! 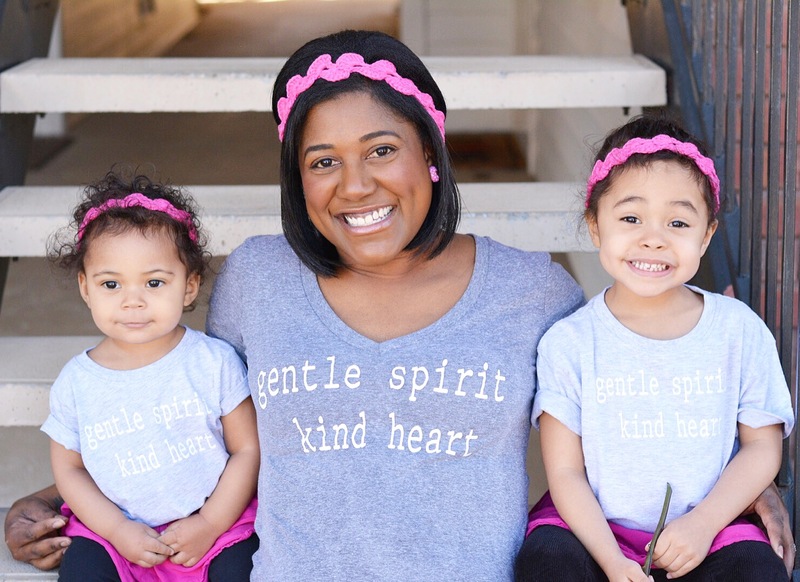 With or without specific resolutions, I’m constantly on the lookout for practical ways to promote better health and wellness for my family. It’s not easy to stay consistent, but thanks to OLLY Quick Melt Probiotic Sticks we’ve started incorporating probiotics into our daily routine! I first explored the use of probiotics about 5 years ago, but I went into a health store and spoke to a couple employees whose explanations had me leaving more confused than when I walked in. I didn’t think it was supposed to be that complicated, and OLLY proved me right! 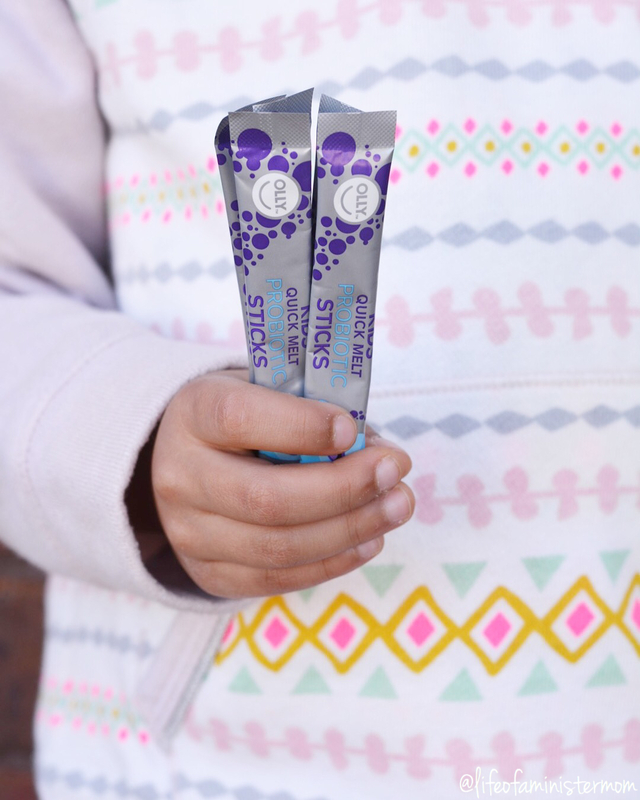 Their probiotic sticks are perfect to take at home or on the go. They literally melt in your mouth and the flavor is really tasty!! 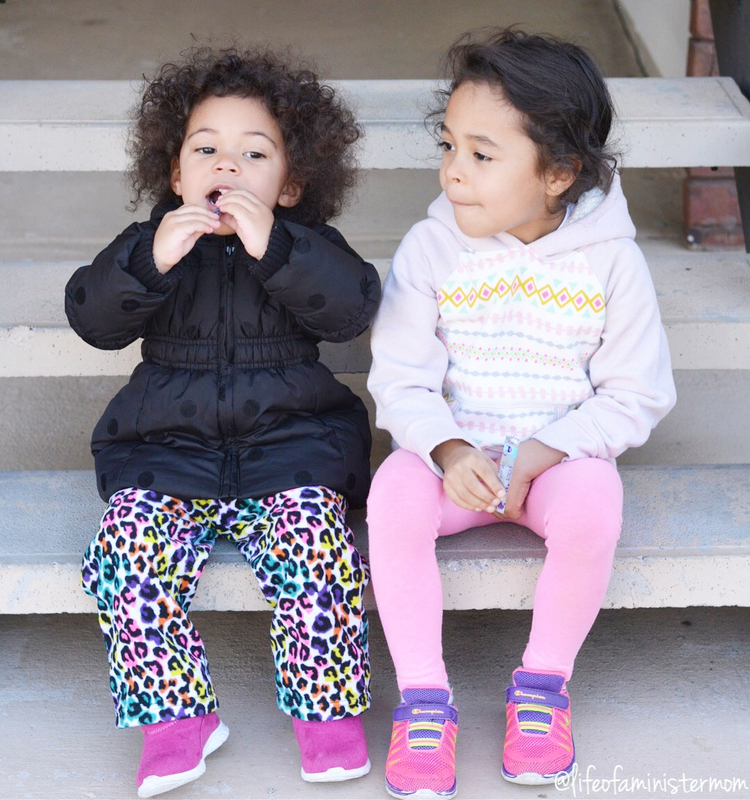 My girls were very disappointed once they realized they only needed one a day, because to them it was like candy or a special treat! Instead of explaining to them how the good bacteria works to aid in supporting their digestive health, I let them go with that. Lol. One day we’ll discuss how these simple packets are doing wonderful things for their delicate tummies, and aiding in the proper balance for mommy and daddy too! • The Regulator (aka Bifidobacterium Lactis HN019)- When it comes to digestion, this good guy makes all systems go. • The Booster (aka Bifidobacterium Lactis BL04) – This tough guys helps boost the body’s natural defenses. • The Multitasker (aka Lactobacillus Acidophilus NCFM) – This whiz helps support both digestive and immune health. • The Superstar (aka Lactobacillus Rhamnosus GG) – This wise guy is one of the most studied probiotics in the world. This is one gut check we approve of! Probiotics offer a host of additional benefits from supporting your immune system to fighting food-borne illnesses, and managing and preventing eczema in children. Just to name a few! Needless to say we are happy to be making this positive step in the right direction, and you can too. 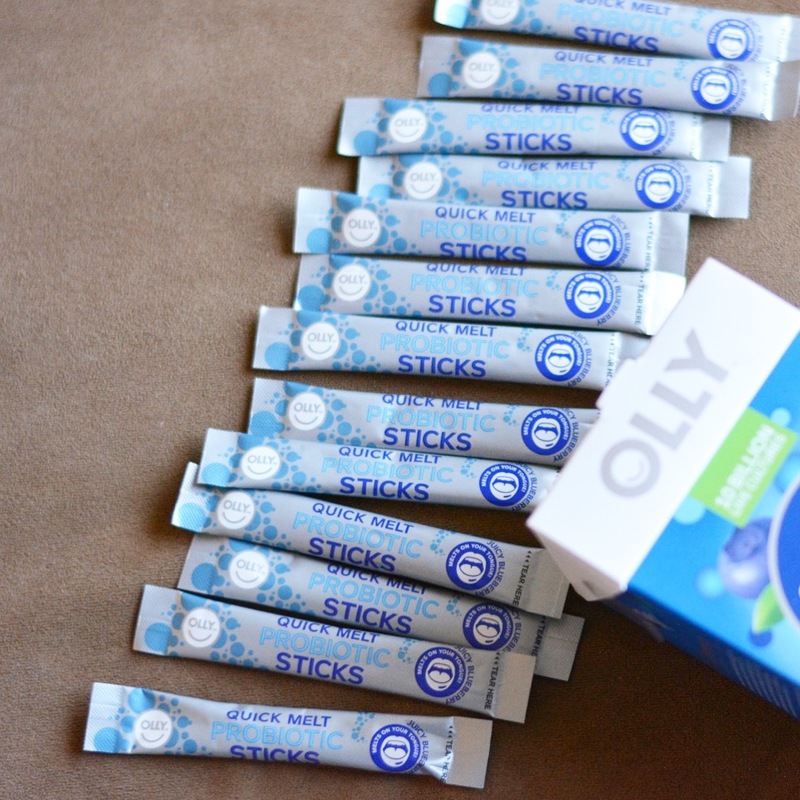 Click here for your sample of OLLY Quick Melt Probiotic Sticks (while supplies last), and save 20% on your first order here! Let’s remember to take care of ourselves from the inside out! I love those snacks, I believed my daughter will love it. We are on the go so much, and snacks like this would be perfect. Thank you for sharing this lady. 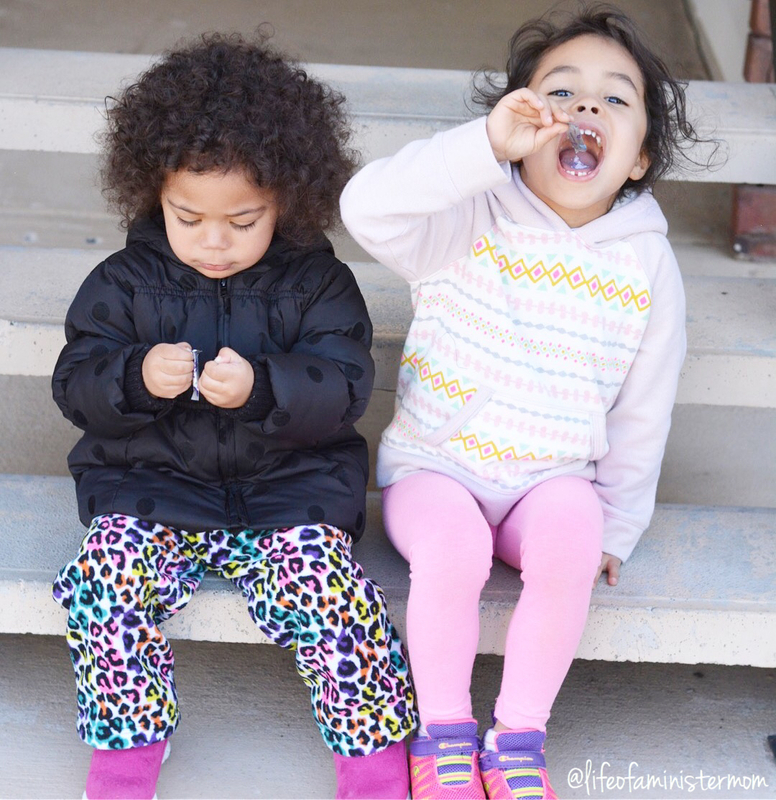 I was thrilled to find out my kids really enjoy them! Thanks for reading! Something the kids like??? Crazy! LOL Thanks for sharing! Something good for the kids AND they like it. A miracle! Lol. I would love these for my son! Thanks for sharing, I will definitely check these out! I hope you get a chance to try them! They’ve bee great for my girls! We are so happy we decided to try Olly. Just like your girls my kids love it too! They really do remind me of that sugar candy we once had as kids, it actually taste good! Yes!!! It’s been great for the whole family! We’re just starting to but loving it! Thanks for reading! We all like them a lot!! 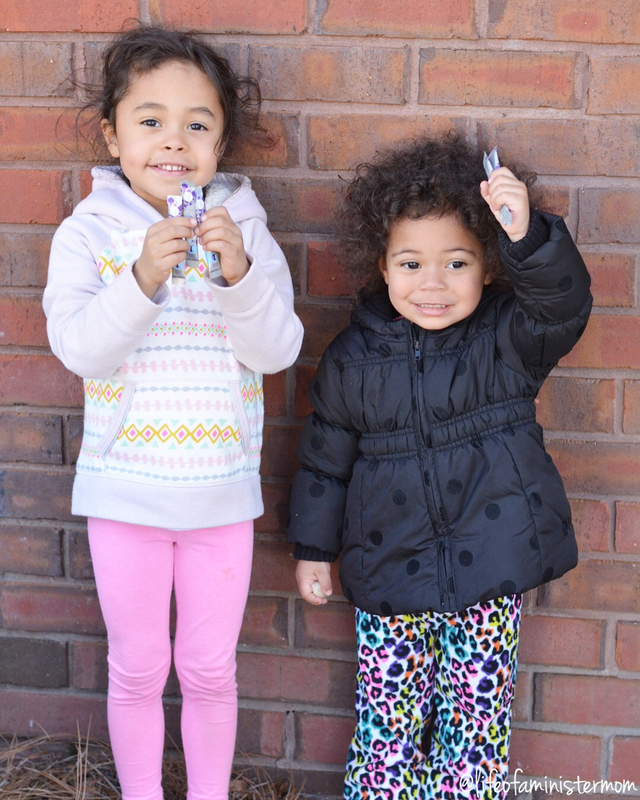 Those probiotic sticks sound amazing for keeping kiddos, and ourselves healthy! And love that the kids think it’s candy! I want to try these we love probiotics! Definitely give them a try!! They are so good! We love OLLY products! Our whole family uses probiotics. We SWEAR by them! Really? How long have you used them for? I need these!!! Well, and my kids need them! Can’t wait to try them. You should give them a try!! Heheh cuties! I need to add this our daily health maintenance! Thanks! And you should give them a try!! Probiotics are so important for a healthy immune system, and I hate trying to mix the powders into my kiddos drinks. These seem like they will be much easier to get in them. Thanks! This is such an easy option. Everyone’s happy!! My mom is a plexus ambassador and they have a great probiotics! I keep hearing wonderful things about Olly porbiotics! I’m going to have to pick up a box the next time I’m out. Check them out when you can! I haven’t embraced po-biotics just yet, but this seems like an easy and tasty way to do it! It really is Ashley. Thanks for reading! !